Thinking back to about a year ago made me realise that I used no colour whatsoever, I was a neutrals girl completely! But times have changed and I think now is definitely the time of year to experiment and incorporate more colour into our makeup. 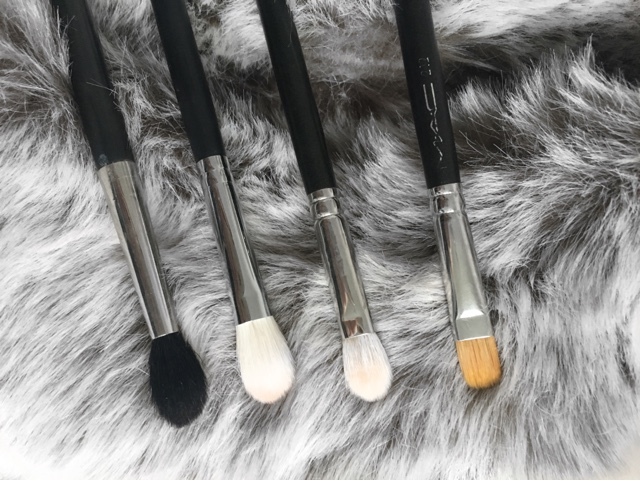 After priming my eyelids from brow to lash line with concealer and setting it with a cream coloured eyeshadow I use a MAC 224 brush and the Makeup Geek eyeshadow (of course) in the shade Sorbet. Using backwards and forwards motions to begin with, I focus this directly in the crease and when there is less product on the brush I use circular motions to take it up to the upper crease. Using a MAC 217 brush and the Makeup Geek eyeshadow in Cupcake I follow the same steps as previously however I don't take this colour up to the upper crease I just focus it directly in the crease itself using backwards and forwards motions. Next taking my new little baby the Morphe 521 brush I focus the same Cupcake eyeshadow on the outer corner and the inner corner of the eye only leaving the centre of the lid free from any product. 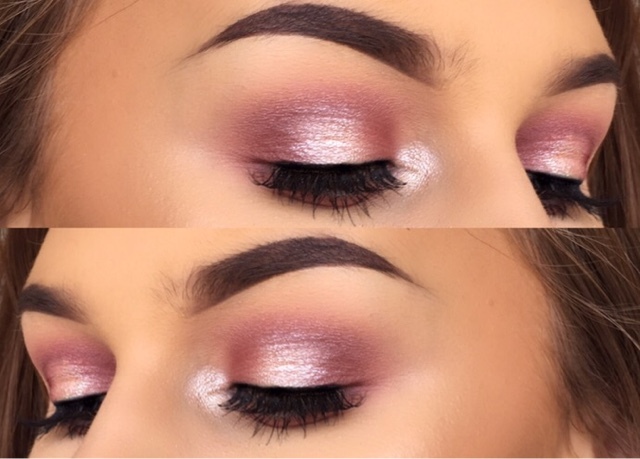 To give the eyeshadow more dimension I use the same Morphe 521 brush and the Makeup Geek eyeshadow in Bitten and layer this over the Cupcake shade on the outer and inner corner of the eyes. Next is the star of the show, Makeup Geek eyeshadow in Whimsical. Using a MAC 242 brush I pack this in the centre of the lid going no higher than the crease. Because this eyeshadow is foiled it doesn't need an eyeshadow primer. 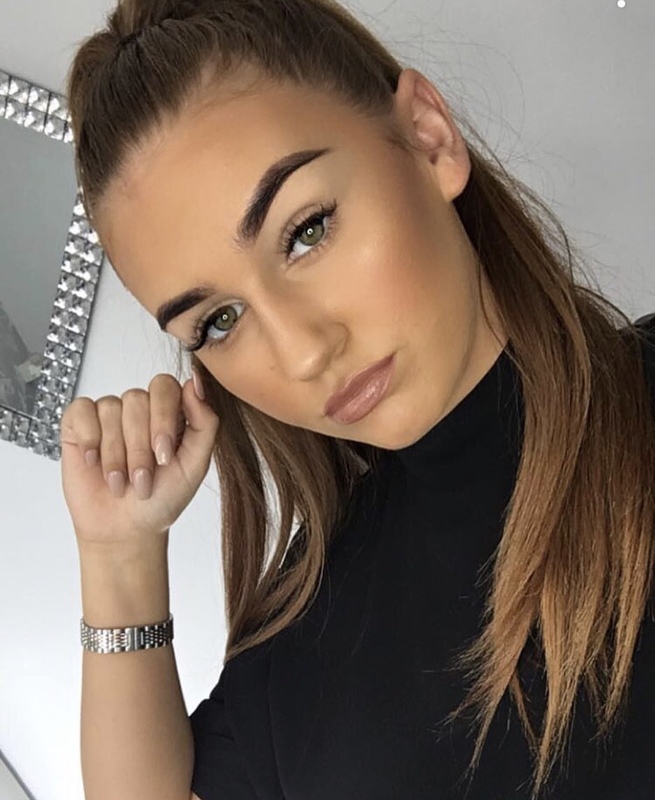 I also use the same eyeshadow with a MAC 219 pencil brush to create the inner corner highlight too. I finish off this eyeshadow look I used the Morphe gel liner in Slate, Benefit Rollerlash mascara and a pair of Ardell Demi Wispie lashes. I didn't want any lashes that were too full as I wanted the eyeshadow to be the main focus. 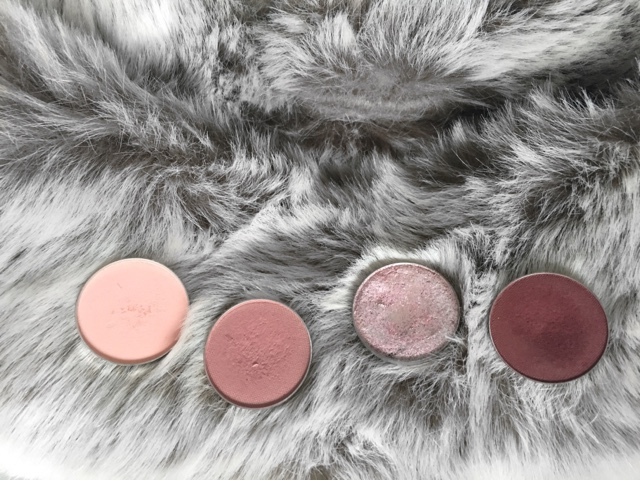 All Makeup Geek eyeshadows (from left to right) Sorbet, Cupcake, Whimsical and Bitten. Let me know if you liked this look in the comments below! See you soon!